I made quite a few changes to the original design of the parts, for the better I think. 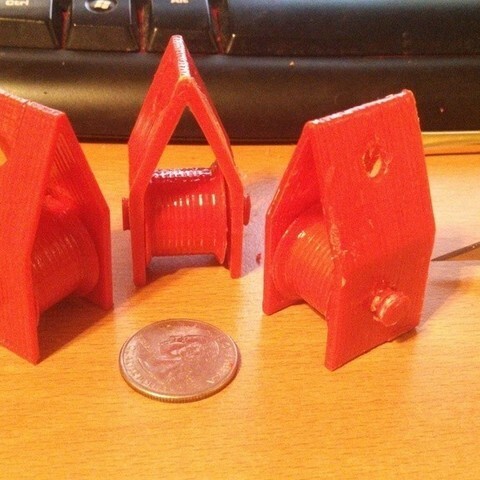 I am planning on using the 3 pulleys that I just printed out on the job tomorrow. We are pulling a long section of fiber and are short handed. I am hoping to use these in place of some bodies. The plastic will be nice because there is very little risk of cutting into the outer jacket. I made use of the Acetone bath technique for finishing these pulleys. It looks like the acetone and ABS solution really helped seal the outer shell. I am hoping they resist cracking at the seams now.  See the change log for more info and see the photos for the updated version. - Increased diameter of hole in the roller and frame. There is now minimal (almost no) post processing of the parts required. Added a single roller to the design. 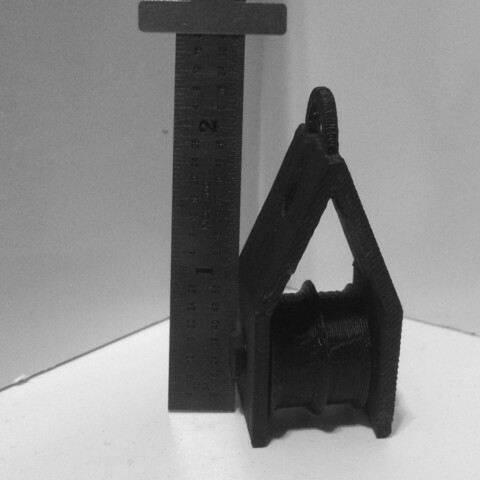 Decreased diameter and changed the shape of the end cap post to reduce overall post processing. End cap may require a touch of glue to stay secure now. Changed to shape of end cap receiver in the rod to reflect changes in end cap post. I had to add a brim to the frame rod in order for them to print with out moving. It also helps to print them seperately since they are so small. The over all demensions are 59Hx29Wx24D mm.